Update Dec 17 Two weeks ago, BT was fighting back against the Huawei boycott. The Security Forces have since grown stronger. The cost to Britain will be in the US$billions. The U.S. security agencies are currently pressing England and Germany to cut off Huawei, which everyone in the industry believes would be a very expensive move. BT is smart enough not to take on MI5 and GCHQ directly, but would have to spend many billions more if it lost Huawei and ZTE as suppliers. Update 11/28 New Zealand, one of the Five Eyes working together since World War II, has now cut Huawei out of the 5G plans. "There is only one true 5G supplier right now and that is Huawei -- the others need to catch up," says BT Chief Architect Neil McRae. That comment makes it easy to draw the inference that cutting off Huawei would significantly slow down England's 5G deployment. Even if BT says nothing, others can and probably will assert that it would be a mistake for England to boycott the Chinese. Not really everywhere and not always a gigabit, but the worldwide trend is amazing. 22 networks around the world offer Gigabit LTE (peak) 979 megabit downloads, per the GSA findings below. 25 more are likely to reach that speed as they refarm spectrum. Peak speeds are measured in the laboratory. Average speeds are usually 50-70% slower, less at the cell edge or inside many buildings. I think of Gig LTE, as well as the variation mid-band 5G NR, as 100-400 megabits. In the field, 500-800 megabits are occasionally measured on lightly loaded networks. 80% of U.S. cable homes - including mine - can order a gigabit downstream. I took the headline from Alison Diana, who reported CableLabs' figure of gigabit of 63% of the U.S. in June, growing by 7% per month. Calix AXOS: "It's delivered, it's working, it's deploying." Verizon's Lee Hicks is bringing Calix's ambitious new operating system into active deployment, a decision that would only be made after a careful review. Clayton Nash of CityFibre has adopted AXOS for a fully-funded fibre build to 5 million Brits. I will be skeptical until we have more results from the field, but if Calix's AXOS delivers as promised, it will be interesting to nearly every carrier on the planet - telco and cable. AXOS is a fully developed software defined network system based on best practices. Native YANG models, full abstraction and encapsulation, virtualization ... all the buzzwords. It's designed to rapidly integrate new software and equipment. For example, software house Infosys has tailored its subscriber management system with AXOS. It's running on the new E9-2. Calix also can offer the system completely as software. It will run on other company's hardware. They welcome other gear, from white box to sophisticated systems. Verizon wireless pulled up earnings, AT&T media held back profits. Both cut back capital spending, once more proving the "High cost of 5G" is a myth. Meanwhile, the prices of wireless service in the U.S. are going up as competition weakens. The stock market response was extreme. By the end of the day, AT&T was down 8%, about US$20 billion. 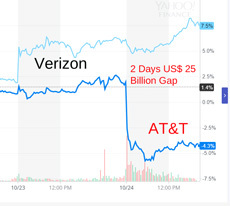 During the last year, Verizon is up 17% and AT&T down 13%. The difference is about US$60 billion. AT&T clearly overpaid for DirecTV & TimeWarner, given the realities of the business, but I wouldn't estimate US$60 billion. Craig Moffett's take is that AT&T (and Sprint) are in thrall to the bondholders while Verizon and T-Mobile are delivering growth because that's what the stock market demands. His analysis today was devastating, including speculation T might have to cut the dividend for the first time in 30 years. "AT&T is prioritizing margins and cash flow over revenue and subscriber growth. ...Virtually every single part of legacy AT&T is shrinking. There are holes in every part of the story." People are buying speed, so CityFibre could win enough customers to decimate British Telecom. CEO Greg Mesch was a pioneer at Versatel and finance guy James Enck is one of the most creative in the business. I wouldn't bet against these guys. Vodafone is the anchor tenant, which should give them enough scale to be in the game. They are budgeting US$3.2 billion for 5 million homes passed, $600-700/home. That's higher than the actual cost at Telefonica, but Spain has far more apartment buildings than England. It's about half of what Deutsche Telekom is telling its regulator; I refuse to believe DT's engineers are that incompetent. The network is currently GPON. My opinion piece, GPON is Dead! Long live 10G. From Poland to Hong Kong, the low price of 10G is inspiring the switch, made be a little early. Fibre to the home has been exploding worldwide, surprising industry experts. I missed it as well: I was amazed when researching Fibre is on fire again for clients of STL Partners. Telefonica and Orange have each passed over 20 million homes. 20% per year growth rates are common. 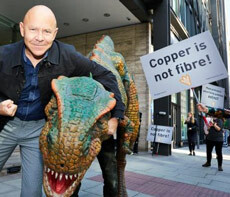 Telus CEO Entwistle explains, "We see churn rates on fibre that are 25% lower than copper. And that's encouraging, 35% lower in HSIA and 15% lower on TV, 25% lower on average. We're seeing a reduction in repair volumes to the tune of 40%. We're seeing a nice improvement in revenue per home of close to 10%." Their network costs should be > 50% lower than British Telecom. Any well-designed new network is half as expensive as the current telco networks. Lee Hicks at Verizon is ripping out 200,000 pieces of equipment left over from the many networks Verizon once had. (Phone, wireless, broadband, business, etc.) His One Verizon plan will replace all of them with a single IP network with only about 20,000 boxes. 250 million 4G connections in 25 months at Reliance Jio India. 5-10 times more capacity with Massive MIMO and Carrier Aggregation, 4G or 5G. Real speeds 100-400 megabits. Verizon's millimeter wave, the most advanced network in the world. Google and Facebook, web-scale giants building their own international backbone. 5G is just a name; 80% to 90% of connections little faster than 4G. More below. 10G fibre almost as cheap as GPON. Almost no 5G phones until Samsung and TSMC build more 7 nm capacity. J., a brilliant and successful Internet entrepreneur, was shocked when I told him what was happening around the world. He wanted to know more about changes that matter to his companies. I created a presentation. 80% of American homes can receive a gigabit downstream from the cable company. Comcast announced they can reach 58 million locations with gigabit DOCSIS, almost their entire network. Charter, with almost as large a network, and #3, Cox, are also nearly all gigabit enabled. Customers are responding to the speed: in Q2, U.S. cable added about 585,000 subscribers while telcos lost about 130,000. Similarly, Rogers in Canada offers a gigabit to all 4 million customers. They just reported their best quarter in years. Chapman tells me Full Duplex upstream is ready to come out of the labs. He expects wide deployments to begin in 2020. Speeds could reach a gigabit. Comcast and Charter are readying their networks. Stanton "We have seen component shortages throughout the year"
"As economies pick up, so does demand. The effect on us is slightly longer lead time. Nothing is materially different now than six months ago." Reporting on shortages is tricky. 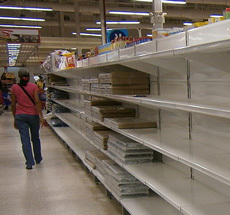 When rumors begin about shortages, people over order for protection. That just makes things worse, and news stories on the subject can scare people into building more inventory. Often, that's overdone and the product market crashes a few quarters later. Adtran made a Q3 profit of US$8 million after three quarters of disappointing sales and net losses. Sales were up 10% although still down from a year ago. It is shipping G.fast Version 2/Amendment 3 to Australia's nbn. AT&T, whose Tom Starr was a driving force behind G.fast, is only "sluggish." T has upped their fiber home to 5 million passed this year while slowing down on 5G mmWave. Adtran and Huawei are cutting the price of 10G to little more than GPON to win sales. See GPON is Dead! Long live 10G. From Poland to Hong Kong, the low price of 10G is inspiring the switch. Swisscom tells me they are getting similar G.fast units from Huawei and deploying across the country. G.fast speeds on short loops are going up from 500 megabits to over a gigabit.